So here’s the conclusive answer: Yes, you can definitely deposit Stripe funds in a TransferWise borderless account. Here’s the catch: the borderless account must have local bank details (i.e. your name must be on the account) and that name must match the name you have on your Stripe account (in the example below “Cozumex LLC” appears on both the Stripe and TransferWise accounts). So there you have it. We have numerous users who currently direct their Stripe funds to a TransferWise borderless account, so we can confirm 100% it works. One of the huge changes in the payments space over the last few years has been the growth of alternative payment solutions to traditional payment providers and banks. Stripe and TransferWise are the forefront of these changes and we’re excited to be able to use both of these new platforms in conjunction with ChargeKeep. ChargeKeep uses Stripe to process credit card payments. Stripe is a payment processor which operates in 25 different countries, so it has support for a wide variety of currencies. When you sign up for ChargeKeep, you also either sign up or for a Stripe account or connect an existing account. Connecting ChargeKeep so Stripe is super simple. During the sign-up process, we’ll ask you to click a link to connect your account. If you don’t have an existing account, it takes just 5 minutes to create one. 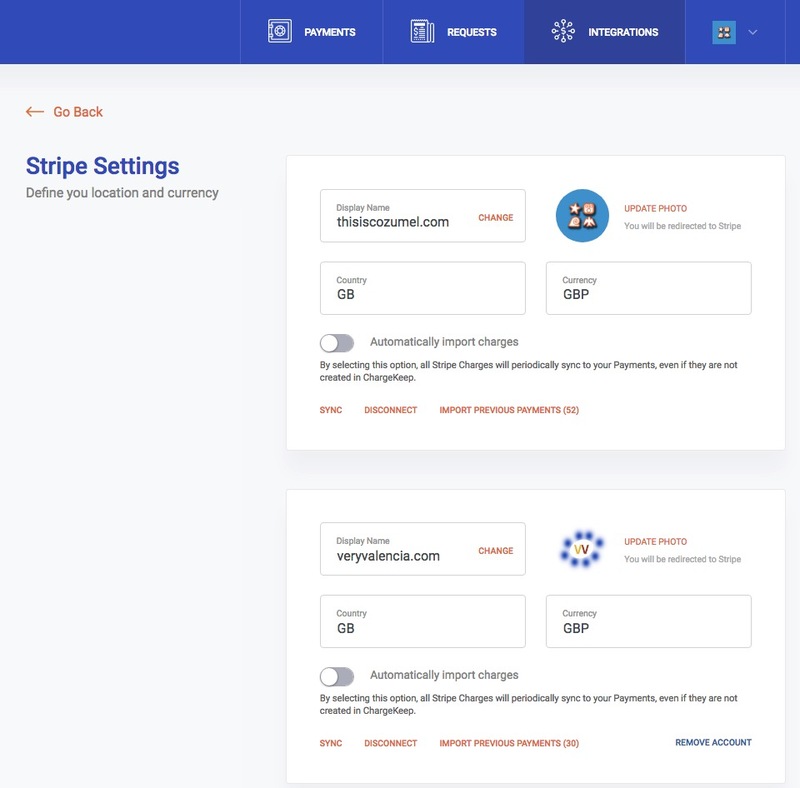 Once you’ve connected your Stripe account, depending on which country you’re joining us from, you’ll be able to set it up so that any money you collect using ChargeKeep is paid out in US Dollars, Pounds, Euros, or any number of currencies which Stripe supports. For example, if you’re located in the US, you’ll be able to send your payments to a checking account in any US bank, but if you’re in the United Kingdom, you’ll be able to add an account that pays out in seven different currencies. And that’s where TransferWise comes in! TransferWise is a payment sending service which allows individuals and companies to send money abroad for much less than it costs to send a traditional wire transfer. That’s one big advantage. But TransferWise also allows you to create what they call a “borderless” account, which is an additional bank account you set up within TransferWise to hold different currencies. 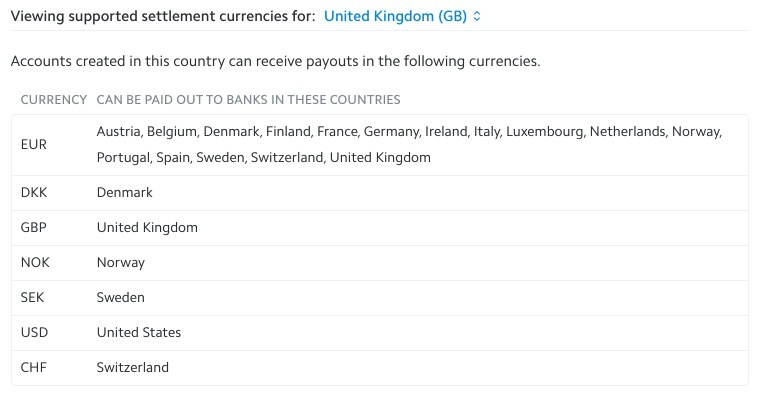 So if you’re the British user from the example above, you’re able to create one account in Dollars, another in Euros, and yet another in Pounds. You can than setup your Stripe account to payout any funds you collect to one of those TransferWise bank accounts. And once the money is in TransferWise, in one of your borderless accounts, you can move it between your other accounts at no cost, or you can cash it out into your actual bank account of your choosing. 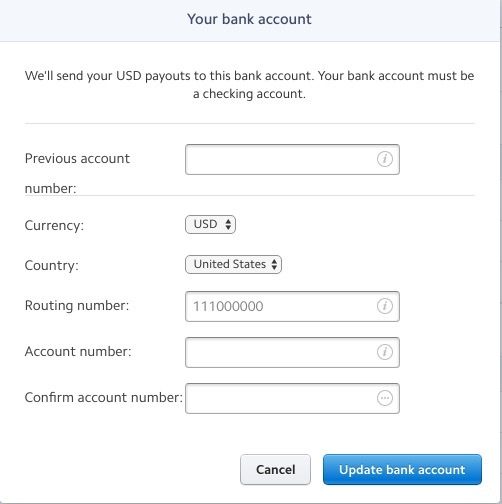 Once you have your TransferWise borderless account, you can than log into your Stripe dashboard and adjust your payout settings to point to that account. One of our customers is a British company that sells tours in both Cozumel, Mexico and Valencia, Spain. In Mexico, they collect payments in US Dollars and in Spain, they collect payments in Euros. They have two Stripe accounts to keep these two businesses separate. 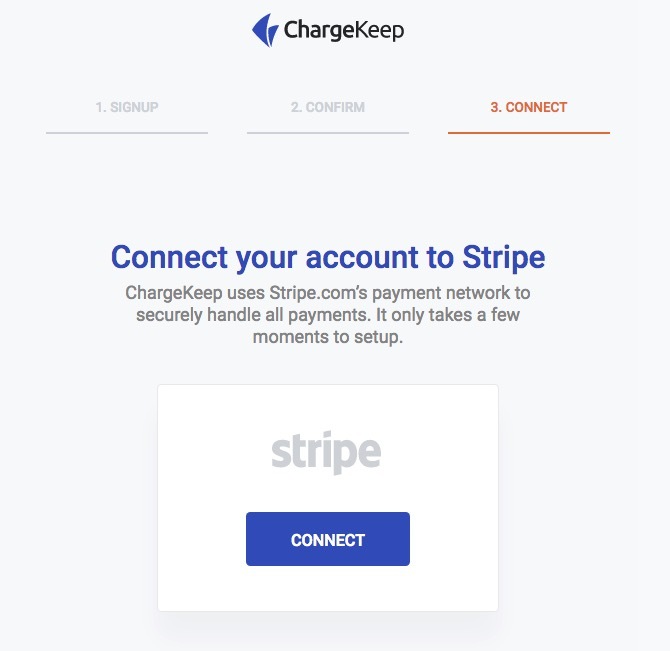 One of the advantages of collecting payments through ChargeKeep is that you’re able to connect two or more Stripe accounts to the same ChargeKeep account, allowing you to send payment requests from either account. So in this case, this customer has connected each Stripe account to a TransferWise borderless account, one in Euros and the other in US Dollars, allowing them to seamlessly both collect payments in multiple currencies and to pay out two bank accounts in two different currencies.